“Unseen/Seen” is made up of three separate series of work which are all meant to play off of each other and interact within the space. 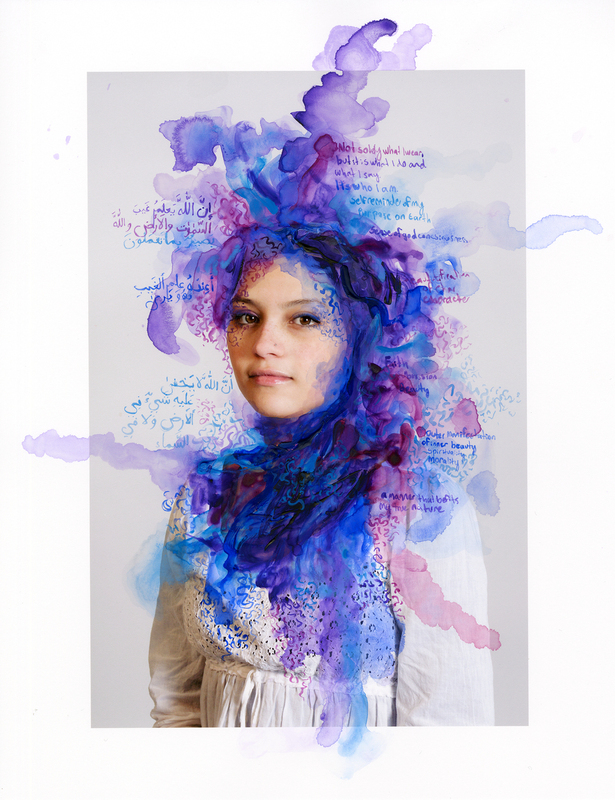 I use paint and photography to explore the concepts of identity and the erasure thereof of veiled muslim women in western society. The work involves ideas of the seen and unseen, ideology versus identity, and the desire to uncover what is covered. 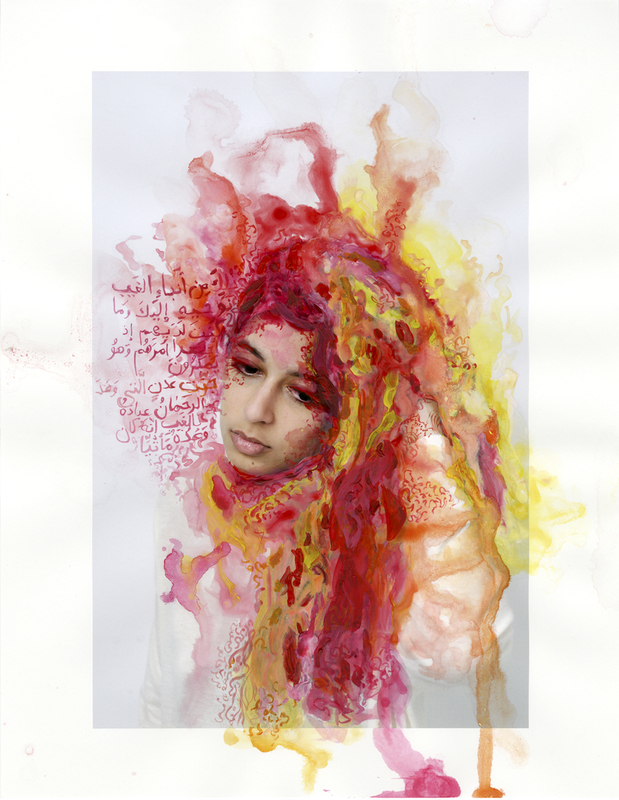 By taking two different approaches in combing paint and photographs I seek to create a tension between the varying perceptions of women who wear the hijab - views that are applied to them versus the views they hold of themselves - through through a tension in mediums and presentation. 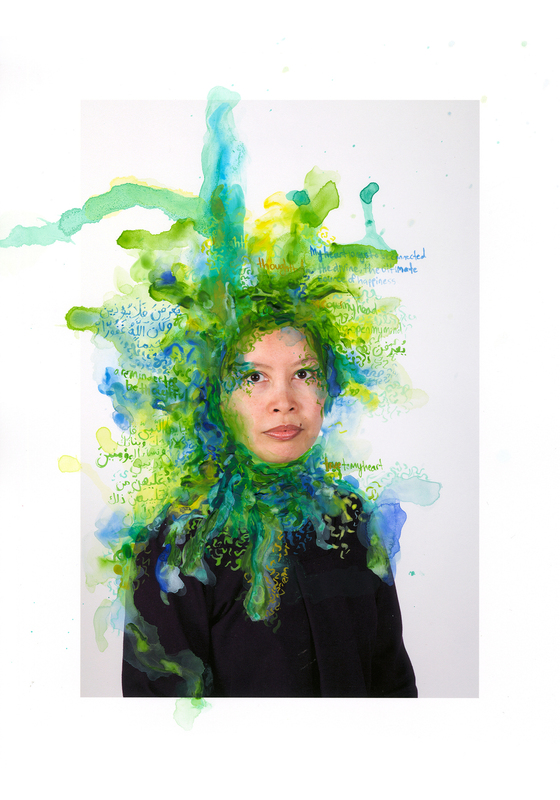 The women in the large portraits were initially photographed without their hijabs on (and their hair visible), only to have the paint act as an abstract replacement of the headscarf. These images were made through a process of painting on smaller photographs, and then scanning the painted works at a high resolution in order to print them at a much larger size, revealing more about the materiality of the paint than could be seen in the original. Similarly my aim in these portraits is to draw attention to the unseen aspects of a person, the vibrant colourful personalities that run deeper than their surface appearances. In juxtaposition to these images my series of smaller portraits are made into unique art objects through the process of altering them with paint, creating a juxtaposition between the digital and the tactile, relating to the inward and outward perceptions of identity. 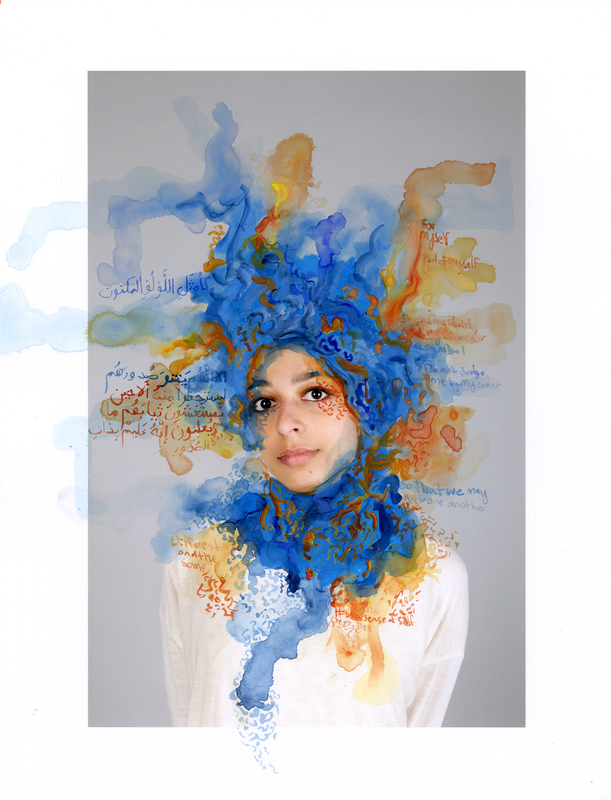 This series questions the reactions that many have towards the hijab and the preconceptions that lead to the creation of a blanket identity thrown over a group of individuals based on the colour of their skin or how they choose to dress. 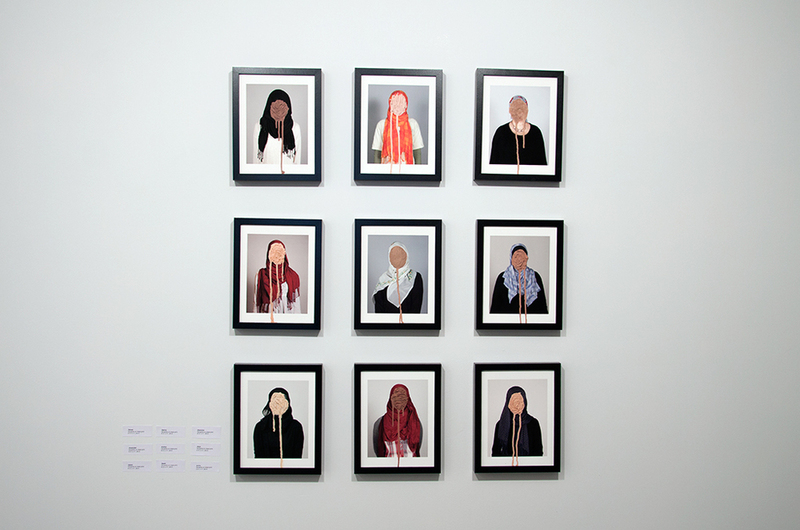 The faces (identity) of these women are obscured by the cultural bias of those who are unable to intellectually see past a veil of cloth to the person beneath. The final part of my installation acts as a physical extension of the ideas expressed in the rest of my work. As it is constructed from material that has been used as headscarves, it serves as a tactile trace of the women who wear them, and the bonds that unite them. 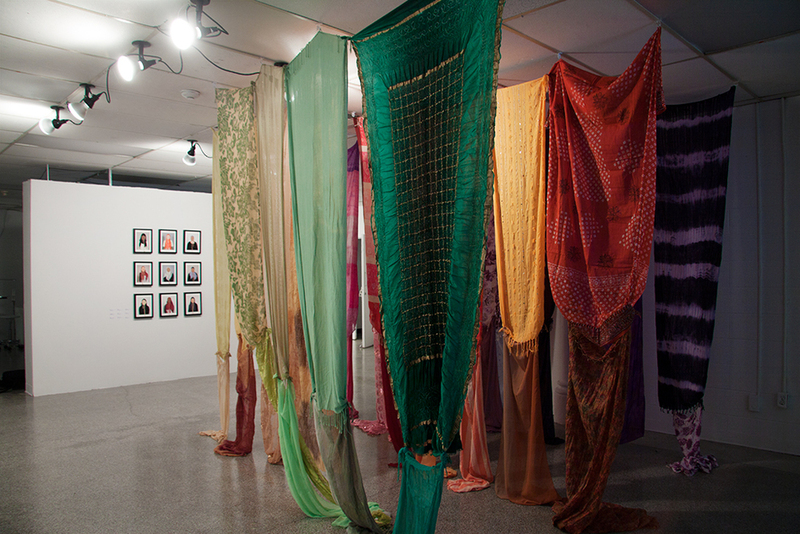 Viewers can pass through the veils physically - and metaphorically through the veils of their own cultural conditioning - to contemplate the the work before them.